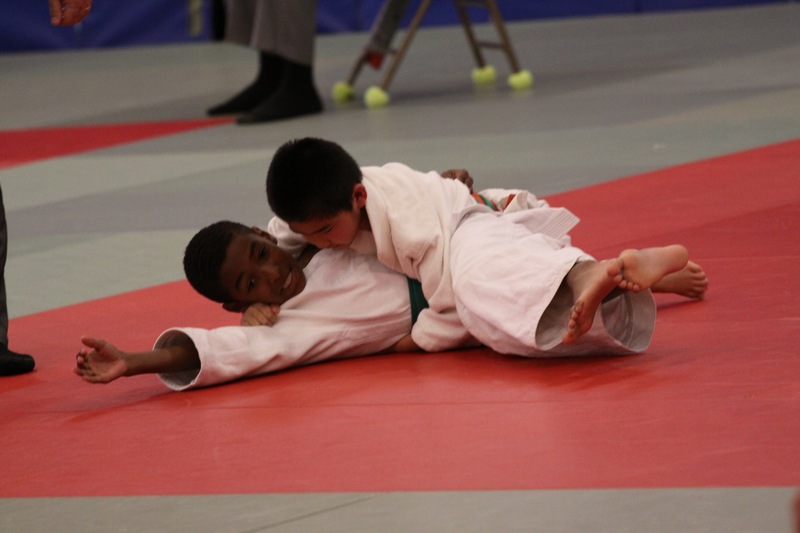 Members of East Bay Judo Institute competed at the Cupertino Tournament this past weekend. Romeo Lok, Takashi Matsumoto, Jackson Kim, Satoshi Matsumoto, Masashi Matsumoto, Dillon Izzo, Brandon Izzo, John Bennett and Ann Shiraishi represented the dojo by competing in their respective divisions. 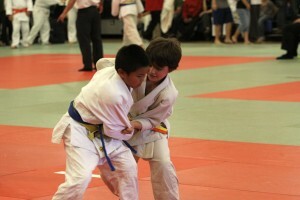 A new face to the frequent EBJI competition team, Romeo Lok, 8, competed in his first tournament here in Cupertino. Romeo showed great potential and effort during all 4 of his matches. Takashi Matsumoto also competed, taking second place in his division. Takashi competed against 2 other opponents, going 1-1 to win Silver. Masashi Matsumoto, Satoshi Matsumoto and Jackson Kim also represented the dojo, showing good attitude and fighting spirit, as they won a few matches in their respective age and weight divisions. Dillon Izzo competed in the intermediate division, facing some tough opponents. Although some of them were bigger in size, Dillon held his own and has shown improvement in recent months. Brandon Izzo also competed in the intermediate division. After winning a few matches, Brandon was forced to compete in a fight off for second and third place. During one of his matches, he hurt his shoulder and had to withdraw from competition. John Bennett and Ann Shiraishi both competed in the black belt division. This was the second time John had competed in the black belt division. He showed potential for the future, holding his own in most of his matches and winning one by ippon by uchimata-sukashi. 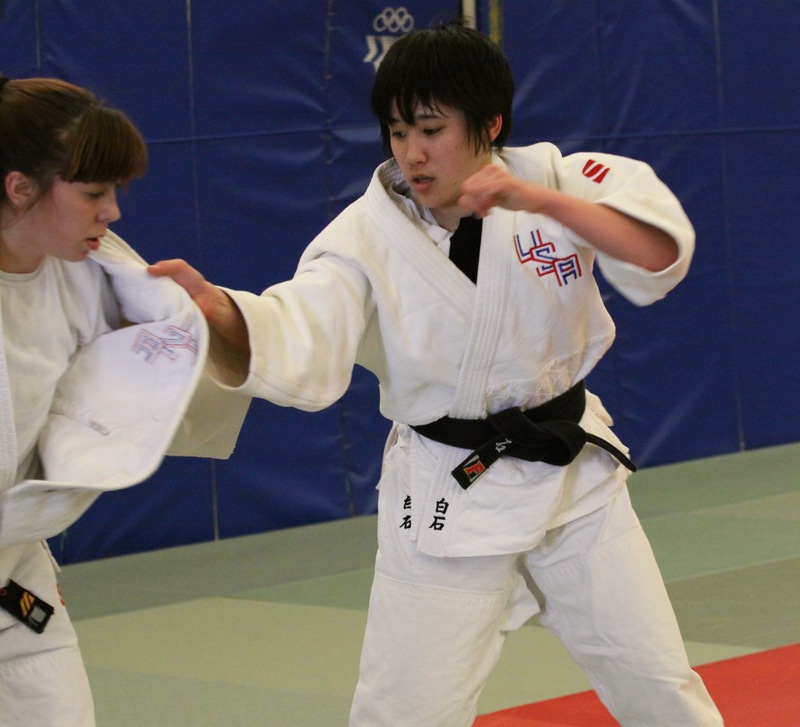 Ann competed in the women’s lightweight division where she won both matches fairly easily. Ann, who is ranked #1 in her weight class in the nation, took home the gold medal along with a training incentive monetary prize given out by the Cupertino Judo Club. All members of EBJI showed great spirit and represented our dojo well! I won 1 of my matches with ouchigari.